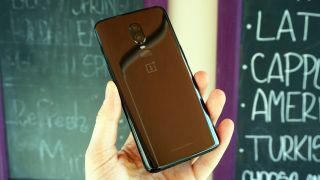 There will probably be a lot to like about the OnePlus 6T, but in an interview, OnePlus CEO Pete Lau has revealed a number of things that potential buyers probably won’t be happy about. Speaking to CNET, he revealed among other things that the OnePlus 6T will be more expensive than the OnePlus 6. He didn’t say exactly what it would cost but noted that the in-screen scanner was the main culprit for the rise, saying: "Screen Unlock technology is something very new and there's a definite cost required for that new technology. It's not cheap." That same technology is also part of the reason that there’s no headphone jack and that the phone is 0.45mm thicker than the OnePlus 6, according to Lau. Lau also revealed that there’s still no wireless charging, explaining that he would want the phone to be able to charge as fast wirelessly as it can using the company’s wired Dash Charge, which currently would mean making it thicker and conducting a lot of heat, neither of which is desirable. It’s something the company is working on though, with Lau saying: "when we get to the day that the wireless charging can get up to speed without the implication of heat that we expect, then I believe we can integrate the technology." Finally, Lau added that there’s no IP rating, so no official water resistance, but added that the OnePlus 6T is apparently more water-resistant than any of its predecessors and can supposedly survive a drop in the sink or a splash during a rainstorm. And the reason for the lack of an IP rating is compelling, as adding one would push the cost up, which Lau argues is “unreasonable” given that "the number of users that are taking their phone to go swimming are few and far between."